Chevy will not redesign the Bolt EV for another seven years. 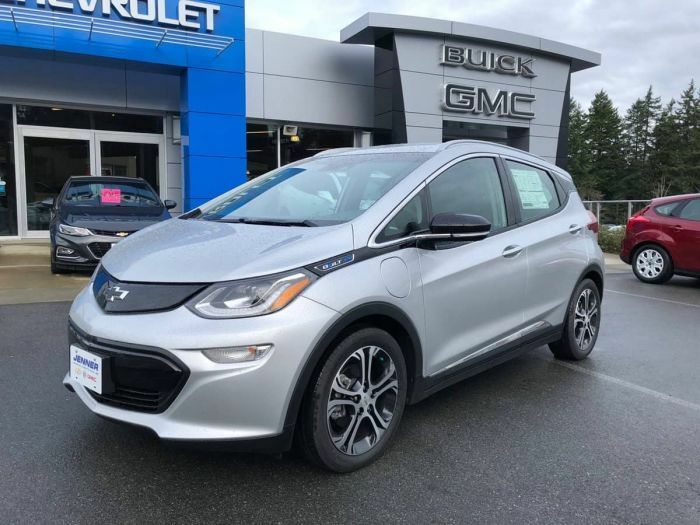 According to AutoForecast Solutions the next generation Chevy Bolt EV will only be available in 2025. The Bolt, thus, will not see another redesign until then and will stick around for a while. Is this a long time or short time? I don't know, but imagine how many new Tesla models will be available in seven years considering Tesla's new Model Y will be announced very soon and be available in 2018. The second thing we know about the next generation Chevy Bolt is that according to Autoline (see the video below) the Bolt will ride on GM's upcoming dedicated electric-car platform. If you remember, in October of 2017 GM announced that the company is planning 20 new electric vehicles. What does this announcement really mean for customers? Read Mary Conway's analysis on why GM is charging ahead into electric vehicles. Therefore, this same dedicated EV platform will provide the underpinnings for at least 11 other battery-electric vehicles. If this information proves to be true, the Chevy Bolt will have an 8-year-long lifecycle, which is a very long life-cycle by today's standards. I personally expect this will change over the upcoming four years. The Bolt will at least see a few refreshments along the way, considering how fast technology is developing these days. And the rate of increase will develop even faster in the coming years. For example, we just learned that GM will begin to push over-the-air software updates to Chevy Bolt EVs just like Tesla does. In fact, Tesla's over-the-air software updates are one of the 10 reasons Model 3s will be remembered as the iPhones of the car industry. We test drove the Bolt and it’s fun. The back seats are easy to get into as my mother who uses a walker stepped right in. Very practical people hauler we may get one to go with our Volt. Well, that means I won’t be considering buying one in the next 2-3 years when I’ll be looking for a new car! We transitioned from a Volt to a Bolt. Glad we did! We did just receive notice that the software update will be sent sometime over the next few months. I agree that it is likely the Bolt will be refreshed before 2025. I am more excited to see what other models arrive from GM!